Check out our review on DatingAdvice.com! If you have a FREE Trial Profile you can start searching for that Special Someone! You'll also be able to write to as many members as you wish on JewishCafe.com or access our easy-to-use features. Perhaps one day you'll be sending us your accolade :-) !! CLICK HERE to meet Someone Special! We are very grateful to you! I connected with one of your clients with whom I created a wonderful relationship. I was a member at several matchmaking sites but JewishCafe.com, by far, is the best and most productive. I've recommended it to a friend. Thank you for who you are and the extraordinary service you provide us. 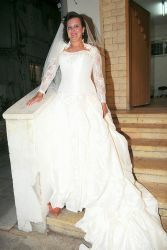 Please take me off the site: I have been married since last June to a man that I met on JewishCafe.com!!! Thanks much. Thanks to JewishCafe.com I met the man of my dreams. In July 2009 I met Joseph. We dated on and off since we met and finally on December 22, 2013 we got married in Austin, Texas. We would like to thank you (a little over due now)! We met 2 years ago on JewishCafe.com. I was just browsing for Jewish singles and quite by accident came across your site. I have to say it is one of the best. We both only tried [another site] for one month, with no luck, as there were many insincere guys/girls on there. There are alot of genuine traditional Jewish singles who really just want to get married and the fact that you don't charge for one week is amazing. This is the first time in all my years I actually met someone that indeed was very marriage minded and traditional. We had a fantastic wedding in Israel this February, the best you could ever imagine and just came back from around the world honey moon that was just great! Marc found Angela, a genuine, traditional woman on JewishCafe.com! Thank you for always responding. Your customer support is excellent, and that is a rare thing these days. I have met someone on JewishCafe.com and will not need futher asstance from you. My sweetheart's username heartswthu. Thank you very much! JewishCafe.com is a wonderful tool for connecting with others. It's a question of how serious minded the people are. This has been a wonderful experience and is a great site to be on. JewishCafe.com is a fitting name. I did not think of this as a dating site, simply a relaxed, no pressure setting to connect with other Jewish singles - like an independent coffee house. I could not sleep one night and stumbled into the site. I ended up chatting with someone on the site, with my hot cup of tea by my side. He shared his dating stories (as he was actively seeking). This led to learning more of one another, and finding commonalities and interest. We are now married over 7 years and raising a family! Who would have thought! Thank you. People should know you never know where or when your bershert is. You guys are great! You actually read your email and respond. I think that your site is better than any other dating site out there. You are way better than [another dating site], or any of the others. You ask the best, most thought provoking questions of any of them, and have the best access to the database as well, allowing search and selection through a multitude of options. I refer people to you all the time. I met my love on JewishCafe.com. After belonging to some other sites and communicating/meeting some other people-and not being satisfied with the results, I clicked on a link advertisement for JewishCafe.com. I was immediately struck by the look, feel, and philosophy of the site. The profiles were of real Jewish women who I could gain a sense of what they were about based on the profile. I received a wink from a lovely lady from a distance away, but decided to write back (to be polite, of course!). One thing led to another and when the time was right we moved through the stages: emails through the site, IM, phone calls and then we met. Well, we are a committed couple planning a future together. Without JewishCafe.com, we would not have had the opportunity to meet and I am very glad to have done so. I know that the site screens out objectionable behavior and people so you don't waste time with problems. I recommend JewishCafe.com to my "still single" friends and family. 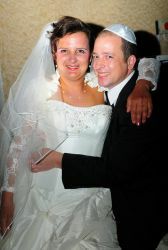 Update: We just celebrated our marriage at Temple Israel of the Poconos in Stroudsburg, PA on Wednesday, 17 Aug 2011. Thank you JewishCafe.com for being the vehicle for us to meet. Living in Alberta, Canada - I found my "Beshert" in PA (USA) and I have been recommending your website to friends. We were married on 4/18/2010. Thank you JewishCafe.com!! We all met on your great site! I am writing to inform you that jstar935 and stillseeking403 are engaged. We met two weeks after our initial JewishCafe.com wink and we were engaged two months later. I met a wonderful woman on JewishCafe.com. It's been four months now, and each day gets better. Thank you. I am also a member of [another singles site] but the software at JewishCafe.com is so much more alive, and client friendly! It surprises me that [the other site] is so unmobile. 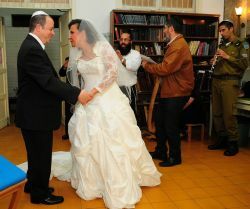 I married some one I met from JewishCafe.com, thanks!!!! I'd like you know that I met my husband in JewishCafe.com. I am from Brazil, he's from Canada and we started chating 2 years ago. After a long love story and many trips, finally we got married on June 17, 2007. I met Issac in Israel this year and fell in love. We first started emailing on 31 Jan 2007. There was chemistry between us we had so many things in common. We're now engaged! He's from Cleveland and I'm from the UK. Thanks JewishCafe.com! I am part of a wonderful relationship begun on JewishCafe.com. Thanks! We first connected on JewishCafe.com in late July of this year. Our first date was in early August. We have been an item ever since! Thank you for all you have done for us! Not only did I meet my boyfriend, Norm, on your great site, I also met my good friend, Andie, through JewishCafe.com! After communicating for a few months, she invited me to visit her in London! Here we are, last summer, at Buckingham Palace! She's a great lady! 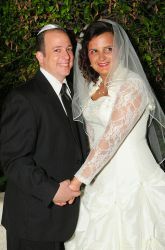 Close to 3 years ago married the man I met on JewishCafe.com. I just wanted to write and let members know that I met my man on JewishCafe.com. We initially met for a nice dinner at The Olive Garden, March 2004, here in Winnipeg. From there our date continued to some miniature golf and we continued to date thereafter. November 2005 Mike proposed to me and I accepted without any doubt. We have set the date for July 2007 and we can't wait. So thank you for having this site available; we may not have met otherwise. Good luck to everyone that is still looking, we found our soul mates and so may you. I just wanted to inform you that I have met a very lovely lady on JewishCafe.com and we are planning on getting married next January. She lives in Brasil, I live in Los Angeles area. We plan to settle in Los Angeles. Please cancel my account - I am engaged! I have made friends for life through JewishCafe.com. Thank you for having the best online service out there. We are proud to announce that we are engaged to be married!! 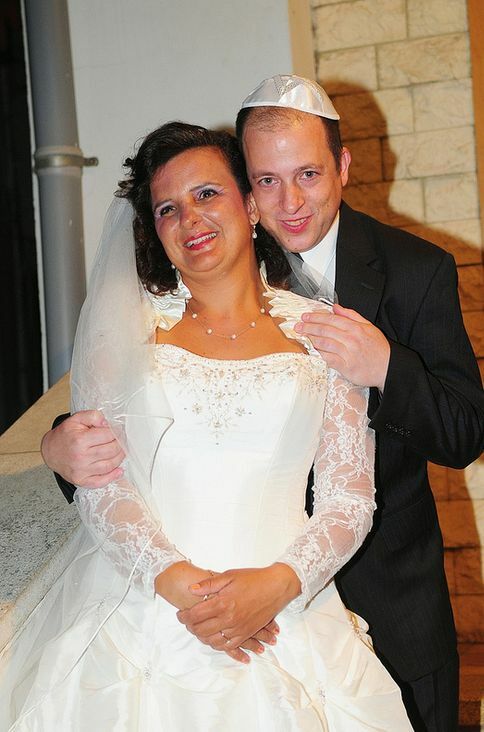 We met on JewishCafe.com August of this past year and are getting married March 27, 2006 in Jerusalem. We thought you should know. We are happy to share this in the hopes that others will continue their search, stay positive and have faith that they will meet their match too. Just wanted to let you know that we got married on July 3rd 2005 in Atlanta, Georgia at Congregation Beth Jacob. We are attaching a wedding picture. Tamar and Rahamim got married thanks to JewishCafe.com!! Thanks to your fantastic, user-friendly site, I found my bashert when she was still in Australia, the other side of the world planning to come to Israel only in 6 months time, but, "no worries", we corresponded by phone and e mail until she eventually came here. We got married a few months later, (in March 2005) . Here are some photos enclosed. Once again thanks SO much and may your site make tons of other people happy!! I Love this site!!!! I have gone on a few dates already! We wanted to thank JewishCafe.com for having a nice and casual place for us to meet. Hugh instant messaged me back in Feb. 2004 and I normally would not have written back to someone from another state, but he liked similar things and had a dog, so I wrote back. We became penpals for a while and then later on he worked up the courage to call me. We talked and flirted on the phone for the next 9+ months until he had a business trip out in California. After 13 months of establishing a great friendship, we realized that there was chemistry too. We've been dating for almost four months now and visit each other in our respective states every 2-3 weeks, with a move to California planned. It's going great and we couldn't be happier together. So, again, thank you for enabling us to meet - who would have ever thought that my true love was in Texas??? I would like to take this opportunity of writing to you all to say what a wonderful service you offer. It is the most honest, non-aggressive site on the whole of the Jewish Dating Scene World-Wide, please be assured of that. I have joined others before and now only focus on your site. I offer my congratulations to your CEO and support staff who make this unique site so easy to use and help those of us around the world searching for our intended. I would like to commend you for a exceptionally user-friendly website. I think JewishCafe.com is so great! This subscription was a good deal. Thank you, as usual, for the personal attention. I get a lot of enjoyment from your site, and have learned a lot more about myself and other people in six months with you than I have in the whole rest of my 59 years. I do honestly think it should be required to do a semester on JewishCafe for all college freshmen. I wanted to let you know that I love JewishCafe.com, the way it is designed and how easy it is to use it. Yosher Koach, and keep up the nicest dating site on line. I just wanted to let you know how incredible I think your website is. Offering a laid back, easy to use, friendly website is a plus all in itself, but add to that a higher quality of people than I have ever seen before - you've truly got something special. I have made many friends. Friends that you know will be there for you through laughter and tears and yes, I've also met the man of my dreams. We connect on a level I have never experienced before. With your set up and profile questions I think it is much easier to find exactly what you are looking for. Thank you so much for making our meeting possible. We would have never found each other without Jewishcafe.com. We are in the process of making plans for a wedding and a move. I can't thank you enough! I will suggest you to every Jewish single I know! It really works! It is quite possible, especially since it happened to me! I got married and made my contact through the chat rooms. Well I guess what I posted worked because on Nov 9,2004, in Hot Springs, Arkansas, my husband and I were married. We met here on JewishCafe.com in a chat room, when I had all but given up hope of finding my one true love. To tell you the truth I knew from the first few moments that he was the one I had been searching for my whole live. JewishCafe is really different and better than other sites. I'm impressed with your customer service! All things considered, JewishCafe is so far superior to any other website I've ever been on.